The digital economy has grown by leaps and bounds over the past few years that some of its support industries have lagged, notably the logistic industry. The logistics sector, however, is looking at automation to boost many processes and enable it to address the demands of the e-commerce market. This is critical as consumers expect their purchases online to be delivered right into their doorsteps in the shortest time possible. With the volume of packages ordered via the Internet growing every passing day, the logistic industry has never been in such strain. Machines are expected to come in, reduce the workload on human workers, and help the logistics industry cope with the demands of the growing e-commerce sector. While men are still the ones operating forklifts, machines are becoming a more familiar sight in warehouses. For instance, autonomous forklift trucks are soon to become a reality with the Iliad Project. This team composed of robotic experts from various countries has been working on autonomous forklift trucks and believes that machines will soon help in tasks like packing and transporting goods. The team is confident that the project will be successful as it is easy to deploy aside from being relatively affordable. Moreover, robots are ‘human’ aware meaning they can monitor human movement within their vicinity. 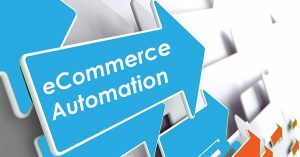 Automation will soon play a major role in other processes vital to e-commerce. For instance, it can predict demand for goods based upon factors like weather and past demand. Monitoring of the conditions of the goods will also be part of the process where AI will be involved, so logistics firms can redirect produce to retain shelf life and minimize wastage. Of course, machines will also be used in the delivery of goods. Many will remember that Amazon has started to experiment with delivery drone pilots. Estonian firm Starship Technologies, meanwhile, is making strides in driver-less delivery buggies.